Manufacturing technology and automation platform Fractory has announced Manchester for its first international office. After an extensive 4-month manufacturer onboarding and vetting process, Fractory will now offer its full suite of services across the UK. Starting this month, customers will be able to better connect with manufacturers, making the production process easier, less costly, and more transparent. Nordic Angel Program (NAP) is building on its 2018 achievements that saw 8 angel training and investment programs in four countries attended by 237 investors. 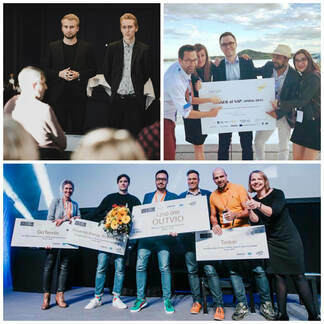 1,5 million euros were invested into eight companies picked from an initial application pool of 922 startups that were processed through a pre-selection funnel to identify the most promising ventures. 18% of the participating angels joined programs in countries different from their own. Deal and Syndication Manager Wanted! Deadline for startups to apply for the €250k investment is on October 31! Trind Ventures’ new fund for early-stage digital companies reaches first closing at 21 million EUR with support from EU. Üleskutse: toeta eesti idufirmat miljoni dollari jahil! Congratulations - you survived Angel Camp 2015! EstBAN members invested €4.8 million in 2014! EstBAN/LatBAN Angel Camp is over. Long live the Angel Camp! Real People. Real Business Angels. Real Results 2013. EstBAN Angel Camp 2013: In order to build up the best exit, focus on supporting the founders to create value! How Estonian business angels invest?